Get “Geared Up” for one low package price! 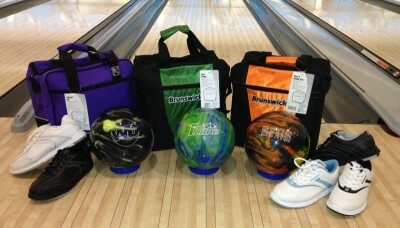 Our ball, bag, & shoe packages include everything you need to make your bowling experience more enjoyable! Choose from a variety of colors, sizes, and weights! Professional hand fitting and ball drilling is included with your brand new bowling ball!